This event happened on 18th of January and I only got to blog it now as I totally forgot about it!My dad got admitted to the hospital for a minor surgery,I was super busy with work and then I flew to Bali.Just got back so I'm going to catch up with blogging as it's already February! 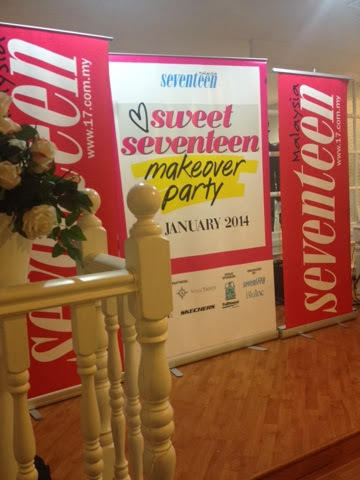 I got to know about Sweet Seventeen Makeover from my beauty blogger friends.The event was only for 50 people and each had to pay rm30 to get a place.It was held at Fullhouse in Sunway Pyramid. I made my payment the moment I got a reply from Bluinc people and managed to get a spot.I was excited because I've never been to a Seventeen event although I know of their awesome parties and such. It always clashes with whatever or the location is too far and I'll never be able to attend.But when I saw how close the venue was to Shah Alam,I know I had to join it! When I arrived,my beauty blogger friends like Anfaal,Shivani and Claudine had already arrived.Thankfully Anfaal saved me a seat in front with them. We were then explained by the editor of Seventeen on what will be happening today.The event started at 11am and ended around 5pm.There was four different sections for us to go to and we were divided into different groups so that each group get to experience everything together. 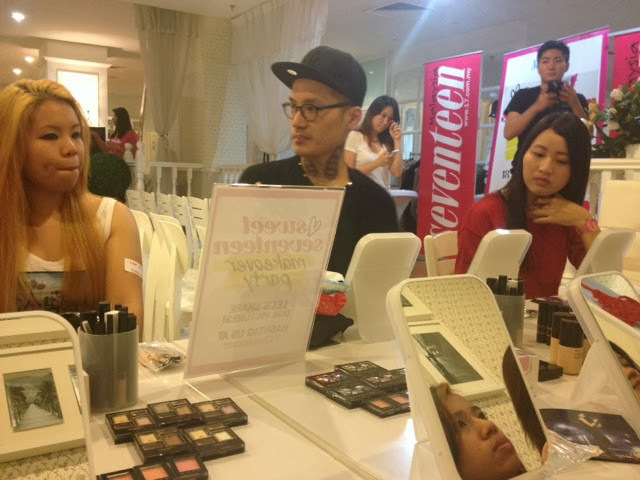 I was in the same group as Anfaal!Our first activity was a makeup demo with Kate cosmetics and their makeup artist,Steven Sunny.Learned a lot of valuable tips from him regarding makeup application. Steven Sunny in the middle. 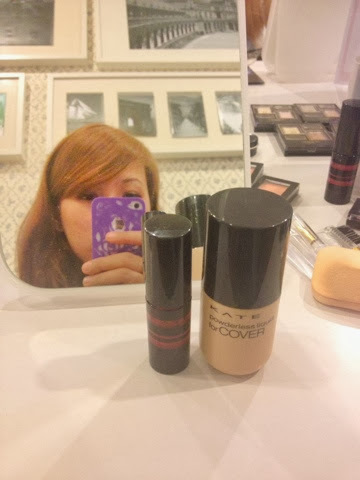 It was really great being able to test the many Kate beauty products.I love their powderless liquid foundation the most that I bought it immediately after the event ended.We got a voucher for rm30 off on Kate products as well. 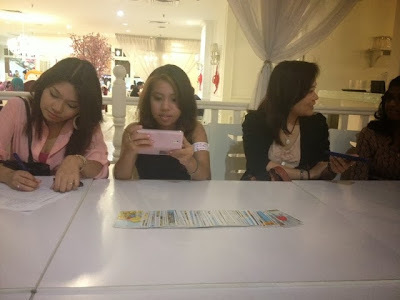 After the Kate cosmetics session,we had a tarot reading from Soleil Trinity. It was quite interesting as we had to count our birthdate to get our number.I got number 2 which was the same as Anfaal!The card under number 2 is The High Priestess. 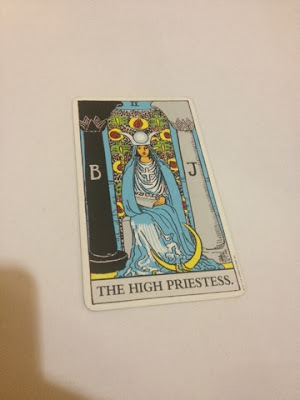 It was interesting to hear all the characteristics of each tarot card.The High Priestess is associated with wisdom,love,intuition and many more. 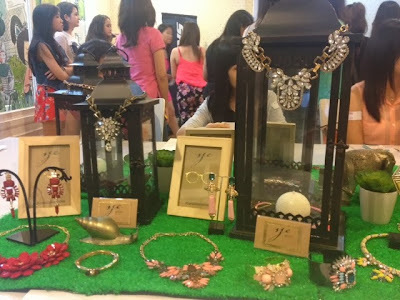 Next we had a diy session with Sze Accessories whereby we had to do a charm bracelet.I loveee their presentation below! 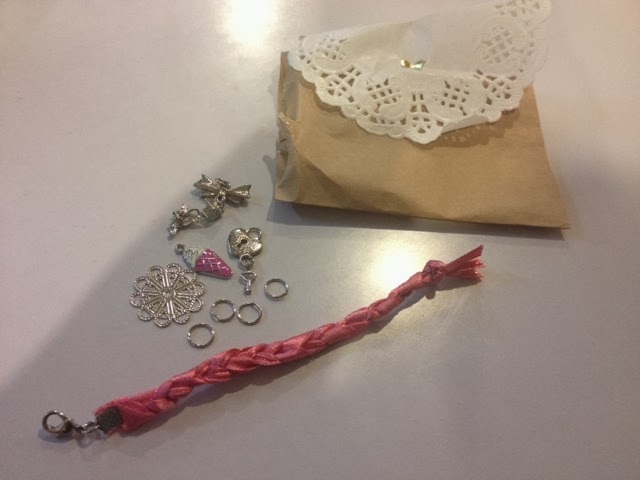 We had to braid 3 pink ribbons to create a bracelet and I braided it so awfully hahaha I've no creative blood in me. 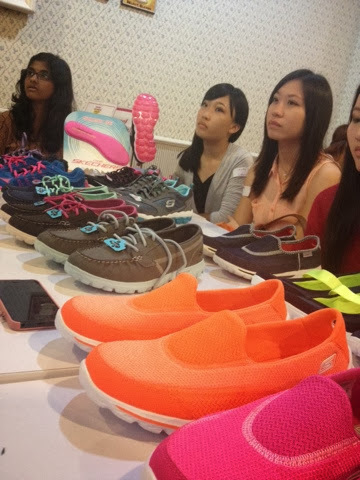 Lastly we had the Skechers booth.We were able to see some of their new shoes and then we had to write in a piece of paper on what shoes we would love to get.After that we were divided in groups and were given two pairs of shoes each and then we had to present the many functions that we can use the shoes for. 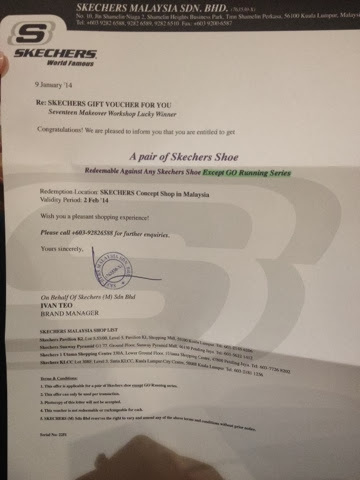 When they announced the winner for the best group..I was shocked when they announce that it's my group.And then they said they'll pick the winner from our group that will get a voucher from Skechers...I was even more shock when they announce me as the winner! 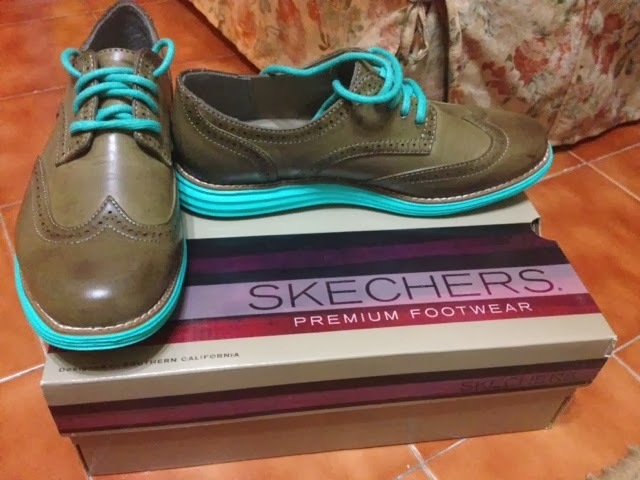 The voucher allows me to choose any shoes at Skechers as long as it's not from their GO Running series..I was like that's fine by me since I don't go running anyway haha.After the event I went to Skechers store in Sunway Pyramid and got the pair below.It's so pretty and comfy! 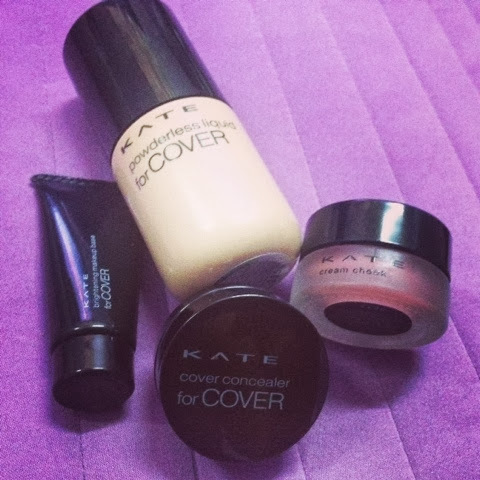 I also went and bought Kate Cosmetics products.I got their powderless liquid cover and their concealer.I got their brightening base for free with the foundation package and also I got the blusher from Seventeen's goodie bag! 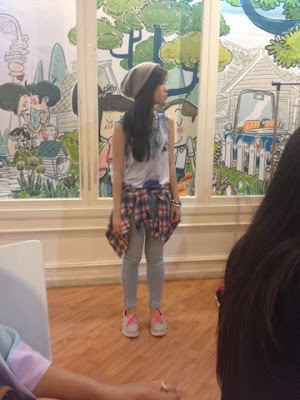 congrats on ur winning babe! Following your blog. 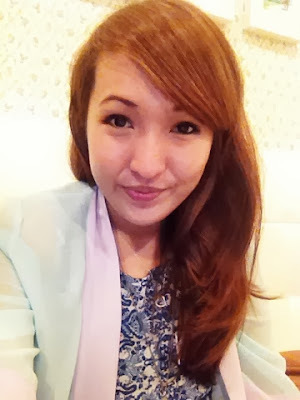 Care to follow back?